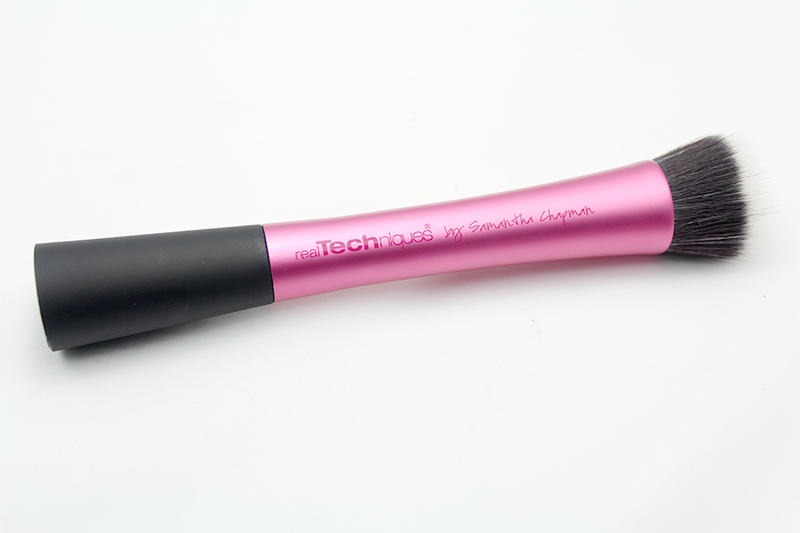 I remember the buzz over the Real Techniques brushes launching. I decided to finally get my hands on one, why just the one? Just in case I didn't like it of course & not to mention I have 3 different full sets of brushes so you can imagine I'm brush overhauled but who doesn't need more brushes! Knowing Samantha is all about cruelty-free it's a great thing her brushes are too, made of synthetic taklon bristles and hand cut, it's amazingly soft. First time using this duo fibred brush with my liquid foundation, it felt like a tug of war, the short bristles are quite dense, once you get to grips with that, you can manage to get a finish I liked. The handle has a nice grip to it. Thicker handle than most the brushes I own, it's nice that it gives control. 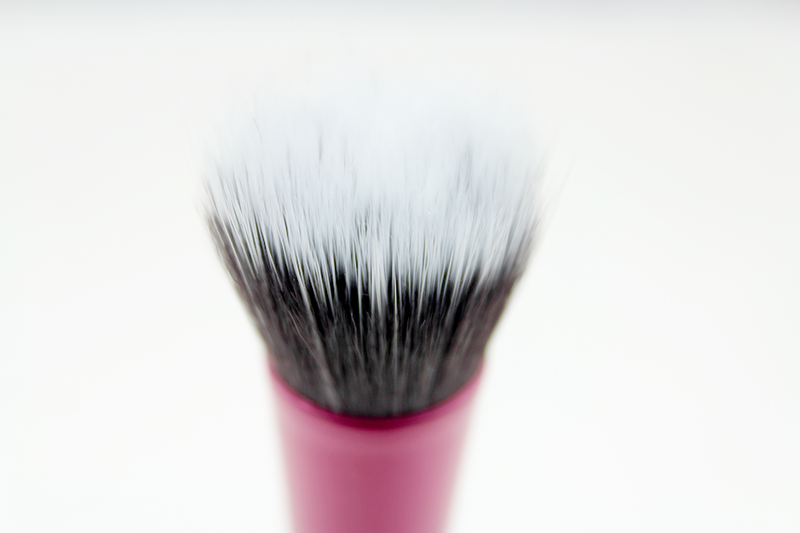 Due to it being quite smaller than most stippling brushes it can get into curves and more of a controlled finish. I would use this as a multi-purpose brush. On the first use, yes it did shed, meh a few odd hairs. For £11.99 can it be faulted no it can't it's great value for money. Quite interested in the rest of the range now. The stippling brush is next on my list! Actually love these brushes. Especially their detailer brush, its just so precise. I found I had to work so hard with it, but once I got the hang of that, I couldn't complain with my finished look but with liquid the bristles may just be too dense. yhhh I think thats probably it. 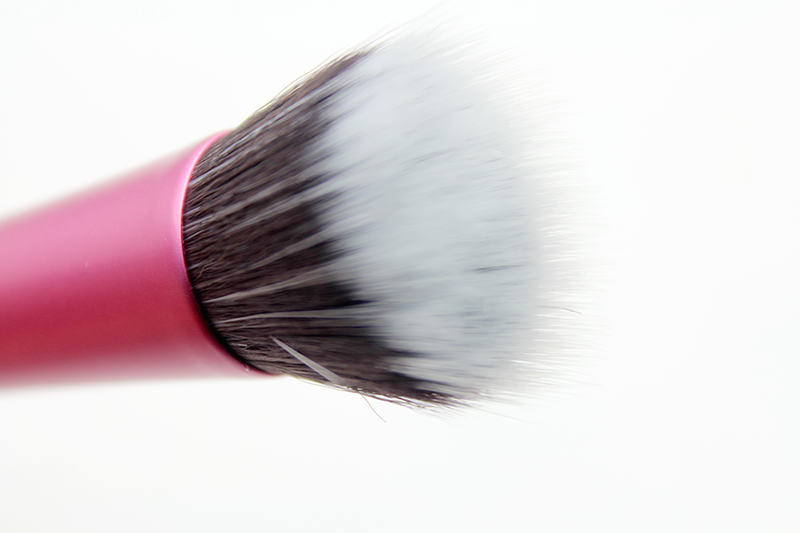 I have this brush too and it did shed a few bristles I currently use this to apply my maybelline bb cream and for blushes and bronzers. 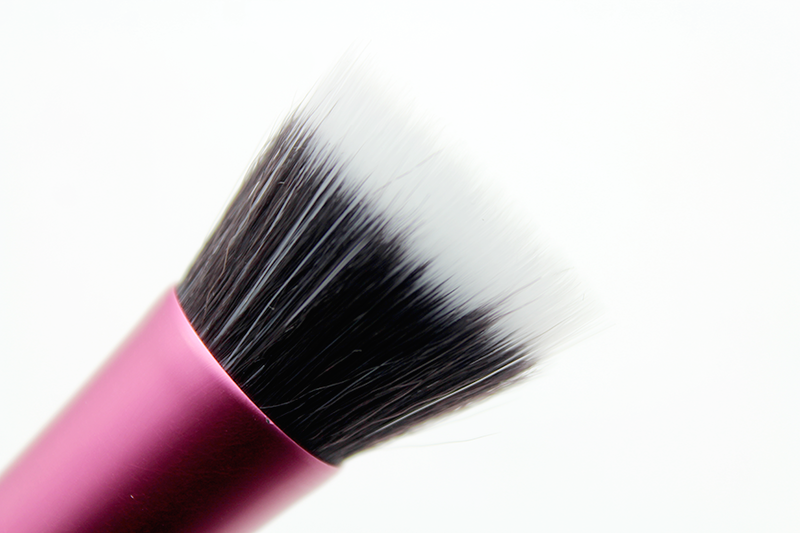 I love this brush as well I have the powder brush and I like that say well. it looks like it would be very comfortable to hold and use. Plus it's pink! You can't go wrong with pink! Been meaning to try this one for ages! I liked this brush but there was something funny about it which I couldn't put my finger one and then Annie suggested that it gives a shiny finish and that was it! I've heard that brushes similar to this one is good for foundation application. Gotta get one someday.